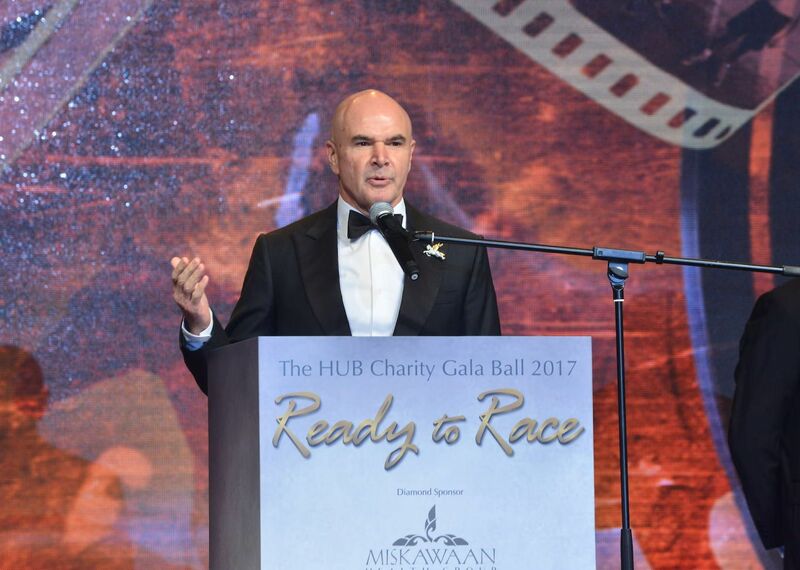 The Hub Hong Kong Children and Youth Centre’s annual charity ball takes place tomorrow (October 19) and anticipation is high, as philanthropic guests and supporters of the charity gather at the Grand Hyatt Hong Kong for an evening of glitz, glamour and Hollywood surprises. It’s no secret that Hong Kong and its inhabitants thrive on success, it goes hand-in-hand with an assertiveness to be one step ahead of the crowd. With that drive comes an equal passion for giving back to the local community, understanding that each member has an impact on making the future bright. Helping children grow into productive adults is a cause close to the heart of long-term Hong Kong residents David Boehm, co-founder and chairman, and Bruce Stinson, co-founder and vice chairman, who established The Hub. We Asked: What Did You Think Of Crazy Rich Asians? Located in one of Hong Kong's poorest districts, Sham Shui Po, the centre opened their doors back in May 2013 to children from disadvantaged backgrounds to get help with their homework, have the opportunity to chat to guidance councillors, receive additional learning support and enjoy the space and freedom to have fun while making friends. As children come from challenging backgrounds, the centre also makes it a priority to encourage positive self-esteem and psychological health. Hailing from Australia, David and Bruce have seen first-hand how the city has evolved over the years, although there is still work to be done in fixing the gap between the affluent and those from more humble backgrounds. Together with a dedicated team, it’s their mission to stamp out the familiar cycle of poverty and offer children a more positive outlook. Set to be an evening of fun and entertainment, funds raised will go directly to help facilitate the youth centre. Guests can look forward to an exclusive get-to-know-you session as Henry Golding, lead star of the Hollywood blockbuster Crazy Rich Asians, takes to the stage. Another highlight will be the debut performance by The Hub children, who’ve been busy rehearsing a special dance routine for the night. It’s sure to be a powerful performance. Rounding off the evening, guests will grab their dancing shoes as a DJ—who is flying in especially from Myanmar—will take everyone through to the early hours. As with previous years, the charity auction will be a talking point of the night as guests bid for an array of top prizes. Up for grabs this year will be jewellery from K.S Sze & Sons Ltd., including an exquisite emerald diamond ring set in 18k white gold, a Neil Felipp Siren clutch in Kabibe shell, an Inglis stables experience package in Sydney, Australia. Among other prizes, there will also be the chance to snap up a Miskawaan health staycation package for two in Bangkok, Thailand, which includes a health check while staying for three nights at the Grand Hyatt Erawan (with access to the Grand Club Lounge), limousine transfers and business class return tickets from Hong Kong to Bangkok. With such spectacular prizes, live performances and the presence of Hollywood heartthrob Henry Golding, guests will surely dig deep in support of such a great cause.